\\\\\\\\\\\\\\\\\\\\\\\\\\\\\\\\\\\\\\\\\\\\\\\\\\\\\\\\\\\\\\\\\\\\\\\\\\\\\\\\\\\\\\\\"Seldman is a world-class executive coach. 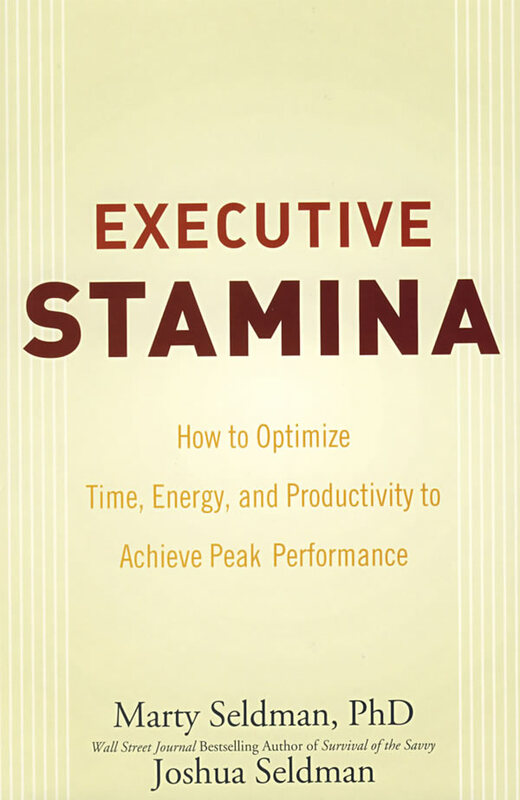 Executive Stamina is a brilliant how-to book. It will help anyone maximize his or her full career potential and live a more balanced, integrated life. His advice is priceless.\\\\\\\\\\\\\\\\\\\\\\\\\\\\\\\\\\\\\\\\\\\\\\\\\\\\\\\\\\\\\\\\\\\\\\\\\\\\\\\\\\\\\\\\"
\\\\\\\\\\\\\\\\\\\\\\\\\\\\\\\\\\\\\\\\\\\\\\\\\\\\\\\\\\\\\\\\\\\\\\\\\\\\\\\\\\\\\\\\"Whether you've just gotten a promotion, or have been CEO of a Fortune 500 company for eight years, or if you just want a better shot at realizing your dreams, Executive Stamina?will provide you with pearls of practical insight and wisdom which will guide your journey. I can think of many colleagues, friends, and family members to give this book to, including my two sons.\\\\\\\\\\\\\\\\\\\\\\\\\\\\\\\\\\\\\\\\\\\\\\\\\\\\\\\\\\\\\\\\\\\\\\\\\\\\\\\\\\\\\\\\"
\\\\\\\\\\\\\\\\\\\\\\\\\\\\\\\\\\\\\\\\\\\\\\\\\\\\\\\\\\\\\\\\\\\\\\\\\\\\\\\\\\\\\\\\"Life wouldn't be interesting if there were no challenges. ?But you could end up being totally stressed out if you are not smart about managing them. You can get a lot smarter if you learn from this book.\\\\\\\\\\\\\\\\\\\\\\\\\\\\\\\\\\\\\\\\\\\\\\\\\\\\\\\\\\\\\\\\\\\\\\\\\\\\\\\\\\\\\\\\"
executive is sure to find new ways to enhance his or her impact.\\\\\\\\\\\\\\\\\\\\\\\\\\\\\\\\\\\\\\\\\\\\\\\\\\\\\\\\\\\\\\\\\\\\\\\\\\\\\\\\\\\\\\\\"
\\\\\\\\\\\\\\\\\\\\\\\\\\\\\\\\\\\\\\\\\\\\\\\\\\\\\\\\\\\\\\\\\\\\\\\\\\\\\\\\\\\\\\\\"With its focus on work/life balance and health, Executive Stamina is a remarkable gift to senior staff leaders?in both the private and?not-for-profit sectors. This book is wise, practical, and clearly grounded in many years of hands-on experience?with the real lives of executives. It should be compulsory reading for every manager who yearns to be successful, while also being content and?healthy.\\\\\\\\\\\\\\\\\\\\\\\\\\\\\\\\\\\\\\\\\\\\\\\\\\\\\\\\\\\\\\\\\\\\\\\\\\\\\\\\\\\\\\\\"? \\\\\\\\\\\\\\\\\\\\\\\\\\\\\\\\\\\\\\\\\\\\\\\\\\\\\\\\\\\\\\\\\\\\\\\\\\\\\\\\\\\\\\\\"Executive Stamina provides great insight for executives or busy people in any field to find a balance in their work and personal lives. It was very helpful for me, but I think the younger generation of leaders will find it even more helpful as they put work/life balance at a much higher priority than their predecessors did.\\\\\\\\\\\\\\\\\\\\\\\\\\\\\\\\\\\\\\\\\\\\\\\\\\\\\\\\\\\\\\\\\\\\\\\\\\\\\\\\\\\\\\\\"